Mukesh Sadana is a Digital Development Advisor with USAID/India where he is helping to integrate digital technology and data-driven approaches into mission programming and co-managing a project to increase the use of digital payments among low income populations. He has over 18 years of work experience in FMCG, banking, retailing and consulting. Mukesh has worked extensively across Bangladesh, India, Kenya, Indonesia, Philippines, Nepal, Vietnam, Malawi, and Papua New Guinea on a wide variety of assignments. Mukesh specialises in G2P payments, regulations, payment systems, product development, delivery channel design and management, consumer protection, risk analysis and risk management, and process mapping for digital financial services. 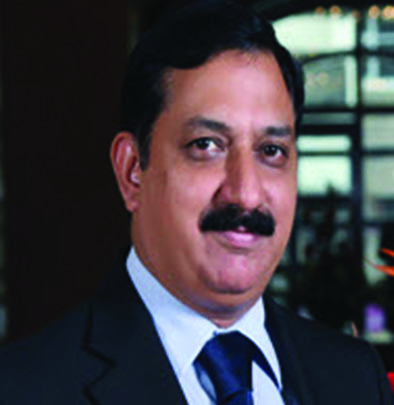 He has facilitated the development of mobile banking strategy for new deployments; assisted setting up of agent networks for delivering financial services; designed financial products to be delivered over digital financial services platforms and facilitated the rollout process; and has conducted large sector wide studies. Before joining USAID, Mukesh worked for MicroSave, a technical assistance provider and think tank. Earlier he worked with ICICI Bank in the Rural Micro-banking and Agri- business division. He has also worked for fast moving consumer goods major- AMUL. He holds a Post Graduate Diploma in Rural Management from the Institute of Rural Management in Anand (IRMA) in India. This note highlights the survey conducted by MicroSave, and the Bill & Melinda Gates Foundation to understand customers’ experience with PMJDY. The Hon’ble Prime Minister of India launched ambitious Pradhan Mantri Jan Dhan Yojana (PMJDY) on August 28, 2014 with an objective to ensure at least one active bank account per family. MicroSave and the Bill & Melinda Gates Foundation designed a survey to track the progress of PMJDY with focus on the presence and performance on Bank Mitrs . Are the $2 Billion Annual Savings Arising from PAHAL Real? Are the $2 Billion Annual Savings Arising from PAHAL Real? The blog examines the performance of Pahal, direct benefit transfer for Liquefied Petroleum Gas (DBTL) programme scheme in India. Several times bitten: Still not shy? Here the author makes historical inferences to establish the point that we must take a learning from the past before heading on the ambitious project of an opening of 200mn accounts in a year. This note reflects on the understanding on the recent decision to suspend the DBT scheme for liquid petroleum gas LPG cylinders (popularly known as DBTL).